Have you ever spend some time to observe small insect? It need your strong patient and determination. You must be very gentle too, if not you are going to frighten them. It’s a great way to be at now when you are with them. 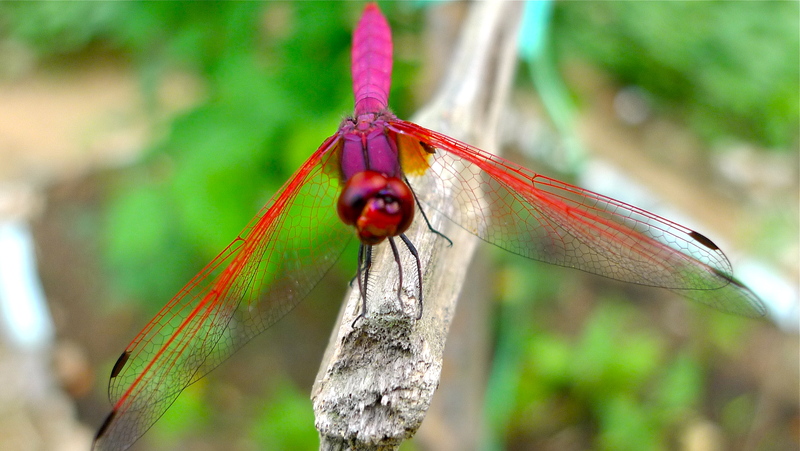 The little dragonfly was truly beautiful, sometimes, we might keep on searching the miracle in life. Look closely to this little dragonfly, you’ll further understand about miracle. Look at the color combination, he is too beautiful, look elegantly..
Look closely to his little wing, its like a piece of art! Awesome! Look at this little creature, he even know how to scrub his face, I am truly surprise..
You can learn something from this little dragonfly, be mindfulness, be at now, look at your surrounding! Thanks! He is truly beautiful! Cheers! I like the photos. Many people are afraid of bugs. If they observe them. They would see the beauty and wonder of the insect life. so true… the miracle in life! Cheers! Wow.., very lovely photos. They are really beautiful. Truly stunning pictures and just colorful dragonfly I’ve ever seen. She is a beauty. Thank you for your thoughts. Yup, my gratitude to the lovely dragonfly.. he was patiently to pose for us…Cheers! 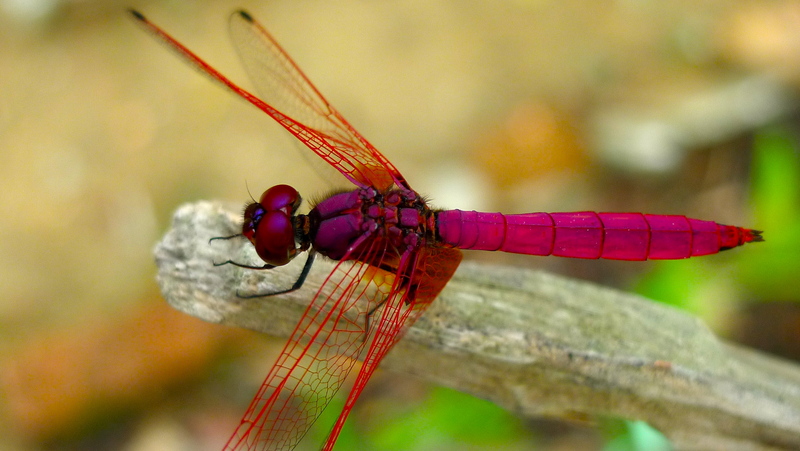 Beautiful photos of the dragonfly! Thanks! Great you love it… Cheers! Thank you! Have a great weekend! Cheers! 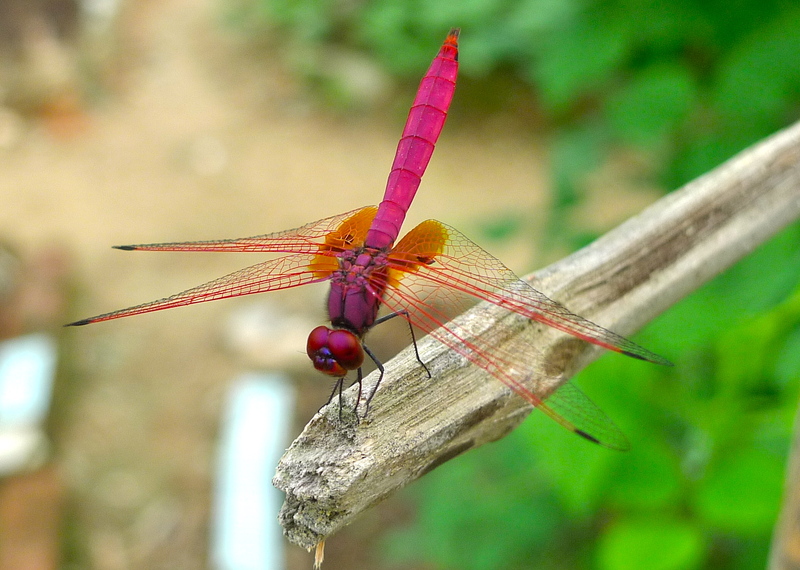 I’ve never seen one as beautiful as this dragonfly. Yup, its truly stunning! Cheers! The dragonfly is beautiful. I was on my wifi yesterday on a park bench and got too close too nature, little beetles crawling all over my top. What a great moment in life! Cheers! Remarkable color…thank you for you’re beautiful photos & sweet spirit. Lovely post about living in the present, mindfulness and the beauty of all things, no matter how small. Wonderful photos– need lots of patience to capture the moment. yup, patience and loving kindness… Cheers! 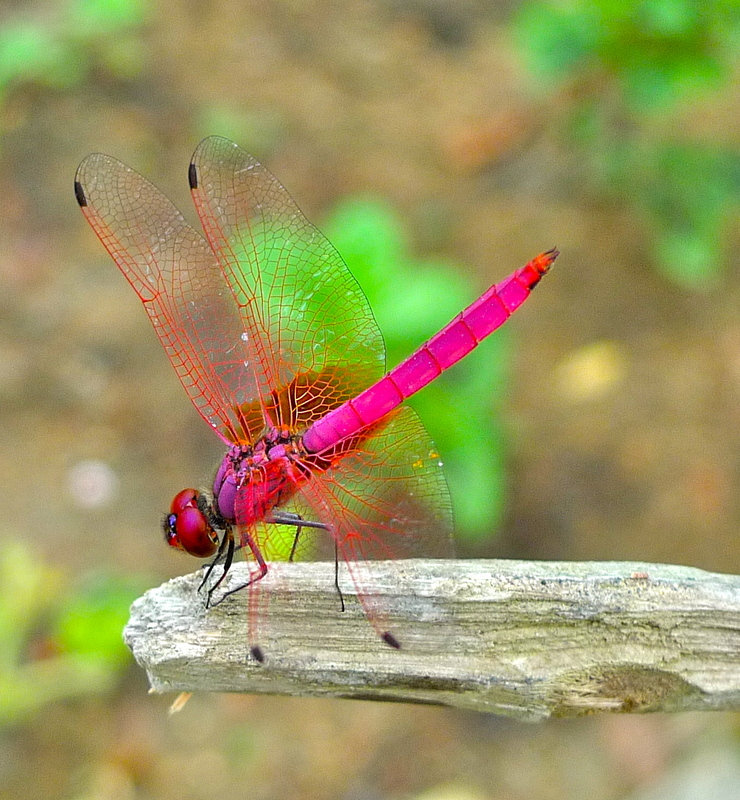 I have never seen a pink dragonfly. How amazing! Yup, Its so beautiful! Amazing! Cheers! 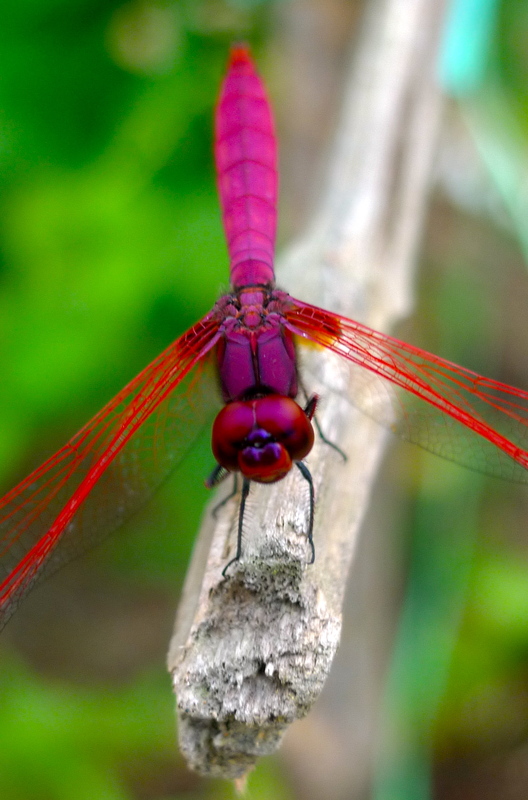 This is the mot beautiful dragonfly I’ve ever seen and the photos are stunning. I love Eckhart Tolle’s message and yours to live in the NOW. Live at the now.. The most precious moment in life! Cheers!